Cook pasta according to package in a large pot of water with salt. 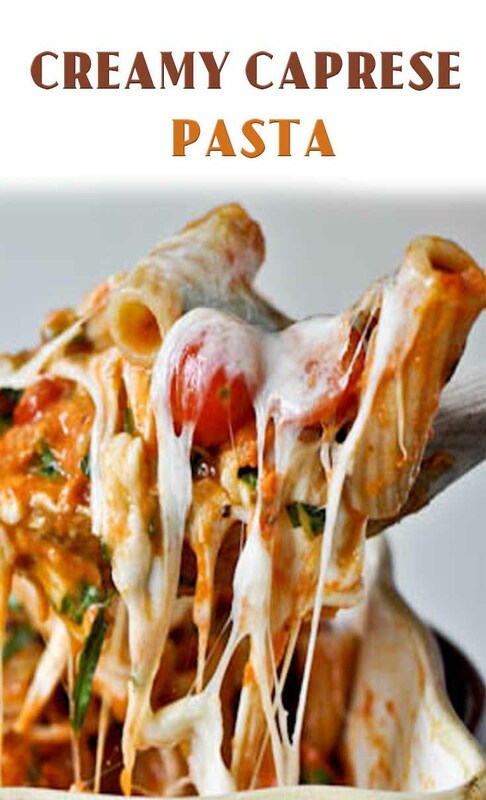 Once pasta is fully cooked, drain and drizzle with olive oil. In a large pan warm spaghetti sauce over medium heat. One the sauce is heated, add in heavy cream and parmesan cheese. Simmer for 2-3 minutes. Once cheese is melted pour sauce over noodles. Cut grape tomatoes in half and mozzarella in 1/2 inch cubes. Then combine the mozzarella (save about 1/4 cup) and tomatoes with the pasta. Pour into a 9×9 baking dish. Top with remaining cheese. Bake for 20-30 minutes, or until golden brown.